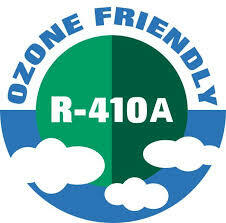 Ozone Friendly Refrigerant - R-410A - PENCO Management inc. The EPA is beginning to phase out a common refrigerant known as R-22 or HCFC. R-22 is found in many household appliances including air-conditioning systems and refrigerators. HCFC was developed as a replacement for the popular CFC since it was considered safer, not toxic and non-corrosive. However, after 30 years of testing, R-22 has been deemed unhealthy for our environment and has been proven to damage the earth’s protective ozone layer. The EPA has recently introduced an environmentally ozone friendly and energy efficient alternative to R-22 called R-410A. The majority of homes built or that had HVAC Systems installed prior to 2010 contained R-22 refrigerant. Thus, there is a greater demand than availability for the R-22 type refrigerant. Currently, the production of R-22 type refrigerant is scheduled to be banned by the EPA and the already low supply is anticipated to become worse and may lead to further price spikes, shortages and possibly unavailability. The average life of an air conditioning system is 10-15 years and by the year 2020, R-22 will be phased out 99.95%. With this information in mind, homeowners should consider purchasing R-410A based products since they will be replacing the soon to be obsolete R-22. R-410A is a hydro-fluorocarbon (HFC) which does not contribute to ozone depletion. R-410A can also absorb and release more heat than R-22. This means your air conditioning compressor can run cooler, reducing the risk of compressor burnout due to overheating. R-410A is great because you can begin to save money right away on your HVAC while avoiding the potential for higher services in the end. Under the terms of the Montreal Protocol which was signed in 1987 and multiple amendments thereto, U.S. Government Officials agreed to reduce our Country’s consumption of R-22 refrigerant (Ozone Depleting Substance) by 90% of its baseline by 2015 and 100% by Jan. 1st 2020.